In Boulder, Subaru owners need their vehicle running in top condition to make the most out of adventures and outings all year long. 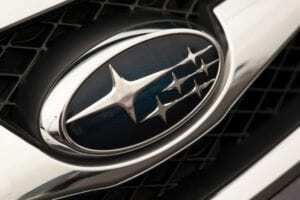 When a problem arises, we know you’re looking for fast, expert Subaru repair services that are reasonable and backed with excellent customer service. You need Indian Peaks Auto Subaru repair services because we love your Subaru as much as you do! Subaru has a well-earned reputation for being rugged, reliable, and safe. But, even the best Boulder cars need to be repaired and maintained to the highest standard to keep performing at their peak. At Indian Peaks Auto, we are the experts in Subaru repair services for all makes and models. We have extensive experience with Subaru Outback, Subaru Impreza, Subaru Forester, Subaru Legacy, and more. With over 100 years of combined service experience, Indian Peaks Auto provides fast, extensive, warranty-backed Subaru repair that will keep you and your car safely on the road. A one-year, 12,000-mile warranty backs every Subaru repair service. For over 20 years, Indian Peaks Auto has prided itself in providing the highest-quality service with tremendous value to create customers for life. You can trust our local, owner-operated Subaru repair and maintenance services to our team of qualified, master technicians and mechanics. Indian Peaks Auto uses the latest in diagnostic technology to quickly identify issues with your Subaru or problems that need addressing to keep you and your care safe. We are experts in foreign car repair and maintenance and service a wide range of vehicle makes and models. We serve all of Boulder County! To schedule your Subaru repair or service, call us at (303) 413-1163 or schedule a service online. We are here to provide you with fast, reasonable, high-quality foreign auto repair in Boulder!